The author of this handsome and evocative life study of a boy has yet to be determined. Mario di Giampaolo believed it to be by Pietro Faccini, while Mina Gregori tentatively suggested Bartolomeo Cesi, a proposal rejected by Daniele Benati and Michele Danieli. Further proposals have been made to the young Sisto Badalocchio and to Annibale’s nephew, Antonio Carracci. 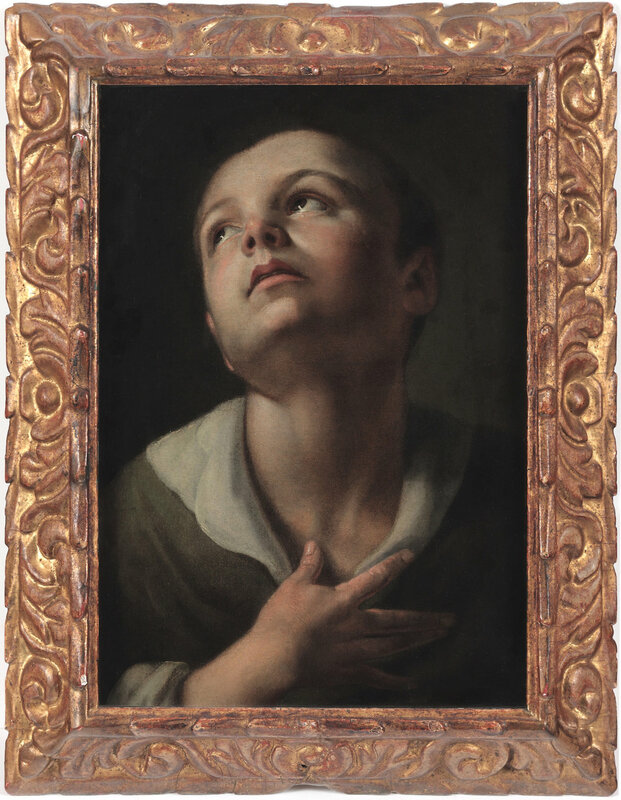 While in concept the image is broadly “Carraccesque” and the image reminiscent of such works as Annibale’s Boy Drinking, the handling of the present work seems too tight and too precise to be considered by him. For the moment a work without a secure attribution, this is a directly observed and sympathetic study from life, one of manifest quality and considerable appeal.